Trump Family To Visit With Bushes Amid Mourning For H.W. President Donald Trump revealed Tuesday morning that he and first lady Melania Trump will host the Bush family in Washington D.C., as they await the state funeral of deceased President George H.W. Bush. H.W. Bush’s casket lies in state within the U.S. Capitol rotunda Tuesday as the public pays its respects. The former president will receive a state funeral Wednesday at the National Cathedral. Afterwards, his body will be flown back to Houston, Texas on Air Force One. He will then be loaded onto a train and make his way to College Station, Texas, where he will be laid to rest at the George H.W. Bush Presidential Library and Museum on the campus of Texas A&M University. Trump and Melania visited the Capitol rotunda for approximately two minutes Monday evening. 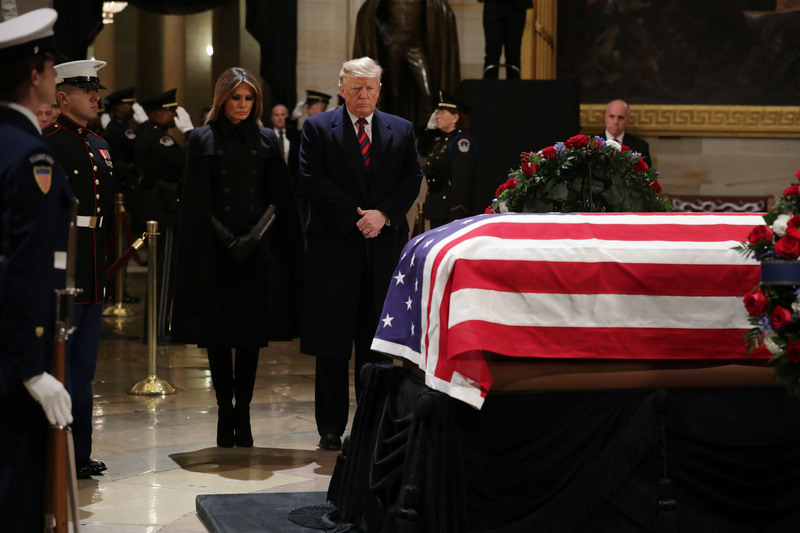 After approaching the casket of the former president in silence, Trump saluted him while his wife covered her heart, observing the proper flag protocol for a civilian. 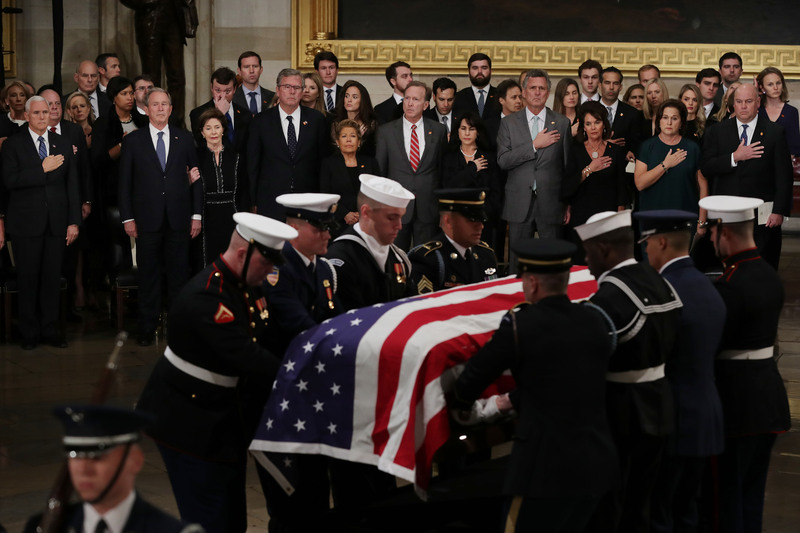 Bush’s casket was placed in the Capitol rotunda Monday afternoon in an extensive ceremony that featured speeches from Senate Majority Leader Mitch McConnell, House Speaker Paul Ryan and Vice President Mike Pence.